Putin not part of the Cabal, and is very knowledgeable about "off world affairs"
Snowden brought over many secrets to Russia, but the majority is still being decrypted. The Cabal is divided within, betraying each other to save their own skins. Mrs "Lies" data and evasiveness to Corey's questions. Update on Corey's Report, David Wilcocks Notes from Q and A 140 Pages long. Disinformation war is hot right now, as many groups are trying to muddy the waters. When disclosure occurs they will be responsible for their actions. Practicing discernment and gaining personal knowledge will help ease the chaos from disclosure. Blue Avians not involved in any business or foundations, KESHE included. Corey's commentary is fairly spot on in my view. I'll just make a few general points about what I have observed in my experience. One theme I see a lot of people talking about lately is remaining calm, and using discernment. Many of us are looking for answers, and clarity about the nature and scope of ET intervention, whether positive or negative. Its definately something I am keenly interested in. And it is very easy to allow ourselves to get swept up into a narrative or story, thinking it is The Truth, and rejecting anything that conflicts with it. Prior to December 21st 2012, I observed many people in this state of consciousness, myself included. I really wanted to believe that a major shift was going to happen, and while I tried to remain objective, deep down I still placed a great deal of faith in the claims of others. I think this highlights part of the awakening experience of transition, where we finally begin to crawl out of the programing of the past, which can be a very emotionally charged experience. One effect of the Cabal's sadistic and cruel programs is keeping the masses away, reaching for ignorance instead of truth as if it is just too negative to make sense of. This reminds me of a Doctor Who episode, The Beast Below, with Matt Smith; Spoilers! In the episode a city traveling through space is built on top of a massive whale like creature, who is being electroshocked every 2 seconds directly into its brain, allowing them to enslave the whale for their own purposes. This is obviously horrific, and the people decided to use mass amnesia to forget the horrible things they have done. Every so often, someone starts wondering what's happening, and discovers the truth. At which time they are captured by the queen's security force, and shown a video revealing the past. Then they are presented with a choice. 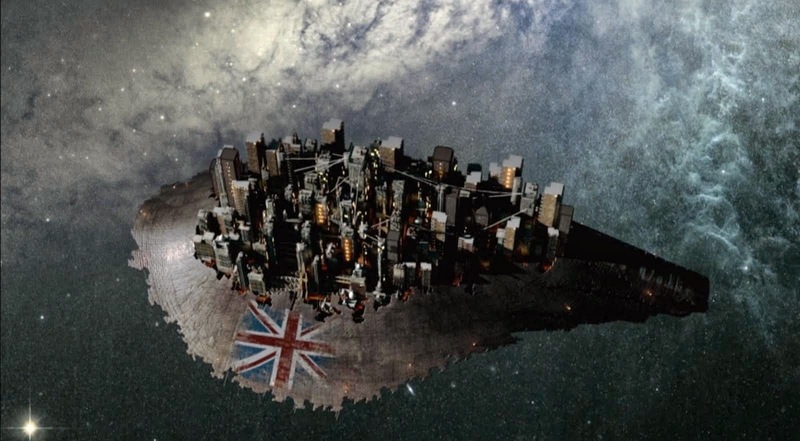 Will you stop the ship, and destroy the city ending the way of life for all those who dwell upon it? Or will you forget everything you've seen, maintaining the horrific situation? Invariably everyone chooses to forget, until the queen, working with the Doctor of course, watches the film, and decides to make a new choice. Now this is where it gets interesting. The Space Whale is a sentient and very old being. After being freed from the mind control electroshock programing, it decides to willingly be the city-ship and the whole population comes to terms with what they have. The whale had the choice to kill everyone and get away, and forgave all the insanity, so everyone can continue on. I think this story was clearly an allegory for the Earth. Some have said Oil is the blood of Gaia, and we are literally draining it as a massive vamperice civilization, inflicting untold damage to her. And despite all this, she is willing to forgive everything to ensure we all keep on the path; on spaceship Earth. But the only way for us to do so is to face our worst fears, and pass through ignorance into unified consciousness. To look at how our own actions and ignorance have maintained the horrific situation on Earth. Note about allegory in fiction: Analyzing symbolism and allegory in fictional works is one of the most rewarding things for me to do in my process of truth seeking. The Cabal place a great deal of information in fiction for 2 reasons I can think of. One so that the data can be normalized, preventing conscious recognition of the truth it contains when experienced in life. This has been called predictive programing. It helps condition people to make choices when the situation is similar, and requires the person to remain unconscious. Thankfully any 'mind control' which is pushed through these works can easily be dispelled by study and gaining knowledge. Considering how pervasive they are, I posit that nearly everyone has some level of programing within them unconsciously affecting their perspective. The second reason is far more interesting. Because of the Contractual Nature of Reality, and their claim as Trustees to God, or God's chosen representation on Earth, they MUST disclose deep truth. One way they do that is in works of fiction, and anyone who has studied the Occult with some degree of completeness will see a great deal of symbolism. The end result is many layers of information embedded within one show, book or movie. 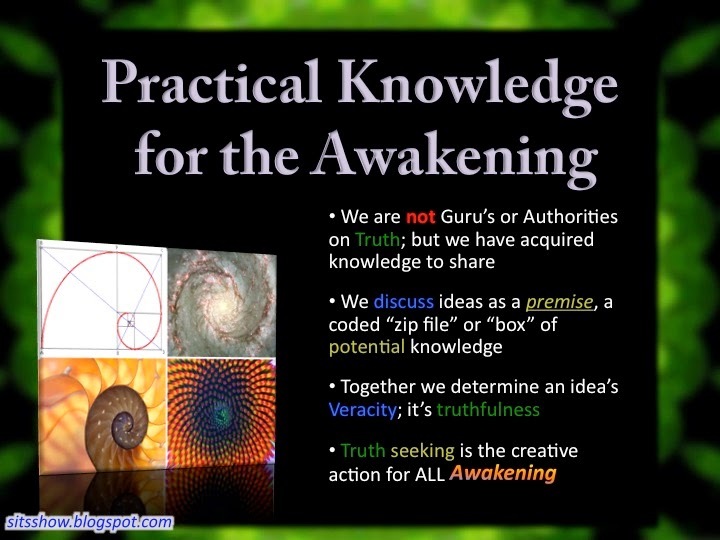 Mark Passio's Matrix Trilogy Decoded is one great example of this, and there are predictive messages layered into deep truths about life, consciousness and the state of affairs on Earth. Another aspect of the process is the consciousness state TV puts people into, a beta state where data is transmitted and received very quickly. If one's mind is fairly unconscious the nefarious aspects of the fiction will most likely take root, but after one has done enough work to raise their consciousness and learning the language of symbolism and allegory, something different happens. For me and Julian its become a type of divination, as we consciously contemplate the meanings in the work, and information locked within us begins to be woven together to form a more expansive concept. Julian has actually had several out of body deja vu experiences over the years, and I am constantly making new connections in my knowledge base using this as a tool. Not that everyone need do the same. In the post Decoding Fiction - Science of Meaning | As Above So Below (Fractal) Symbolism in Once Upon A Time TV Series, I attempted to provide the science behind symbolism, meaning and why it is up to us to create so called positive meanings from information. In my understanding, the Cabal push out all sorts of horrors to keep people locked in duality consciousness, that one thing is bad, while another is good. But from the creator's perspective, it is all part of the process of personality growth. Hence in the law of one narratives, 6th density is the density of unification, where STS beings become STO. Allowing ourselves to define something is 'negative' and then refusing to look at it, literally helps charge the 'negative energy' the dark groups need for various purposes. And undoubtedly slows our progress to be more STO. An illusion can only remain powerful if we never seek to understand it fully. Since so called 'negativity' is a subjective value judgement, and in truth is part of the grand plan of creation to educate, upstep and evolve consciousness, every time we face the negative within, our definitions and judgments, we can expand them with more truth and transmute it into a unified positive idea. One example of this in my view is the belief in death being the end. Many people fear death and as such experience many fearful emotions moving through life's challenges. But as knowledge is expanded, we can develop an awareness of the truth, that there is no death, just transformation. Consider the preponderance of reincarnation, near death experience and afterlife data, all suggesting our life on earth is just a tiny phase of our personality evolution. I used to fear death on a daily basis before I woke up, but after countless hours of research and contemplation, when I think of death now, it actually brings me a sense of joy. During the death experience brainwave coherence patterns go off the charts. Dan Winter's work revealed this. It's tandem to a massive bliss experience, which can unify and transmute a lifetime's worth of seeming negativity. And what's interesting is those who have gone through it and come back, are deeply changed. To me all this underscores that we really do create our own reality, but not in the way many people think. We create the lens through which we perceive reality, and our choices literally determine the emotional quality of our experience. What was once viewed as negative can be transmuted into something that is positive, even if no physical change has taken place outside of us. I think this is what is meant by raising our vibration. And once we have done the work within to transform, now we can work co-creatively to create reality outside of ourselves. With the recent treasure trove of data that "Snowden" brought over to Russia, Putin now has some incredible information in his hands! Who knows what else Putin gets briefed on as the data is decrypted and analyzed on a regular basis... We are talking about enough information to either make some great changes or to further the NSA's blackmail tactics (The NSA really made a major cardinal intelligence sin of keeping all of their eggs in one basket to be pilfered...). I am aware that this link is a channeler and I too am leary of channelled info, however this person claims to have been in touch with the Blue Avians and I wanted to get Corey's take as I am aware that they have been contacting folks and I also wanted to share the link to the article. Hope I posted the link correctly. No, I posted to "Mrs Lie's" web site with her first post of these claims and she deleted her claims, didn't respond to me and reposted them on another area of her site that did not allow comments. None of the info she presents is in the fashion or form the BA's would present it in. 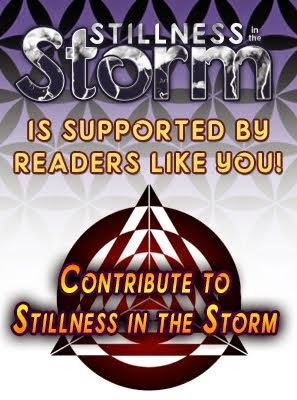 There are a lot of people trying to "Re-Write" the Narrative into their own Paradigms and what they do not understand it that the Blue Avians are only a part of the Sphere Alliance. The BA's have captured the minds of many people though as there seems to be some genetic memory of them from our past (?). She is channeling some other information or is just presenting this information in their own agenda. There is a protocol of contact that the BA's always say they use when communicating with a 3/4D Being (Human or Non-Human). I think we have discussed this person in prior posts as well... I wouldn't spend too much time on that material IMHO. Update: This is turning into a small EBook... I am going to release it in pieces instead of the entire report at once. I will be glad when I get that "Dragon Naturally Speaking Software". I type a certain amount and I have issues with my right hand/forearm. I can barely type at all today from all of the writing done yesterday. There is so much info and so many details to include. DW's typed out notes from our on the phone Q and A's are over 140 Pages at this point. I am also having someone edit this one since it will be reposted quite a bit. You would not want to go into detail will raise contests the goal, but there are two genetic lines compatible with blue avians in our past, but from what I can communicate with the star seed from 5 density and beyond because of comformaizone genetic DNA etheric origin, many with which they communicate are wandering belonging to their collective. Corey provider and if you believe it is inappropriate to delete the post. The Blue Avians and rest of the "Sphere Alliance" are a 6th - 9th D Group of beings... they do not have cousins or a lineage in the DNA since. 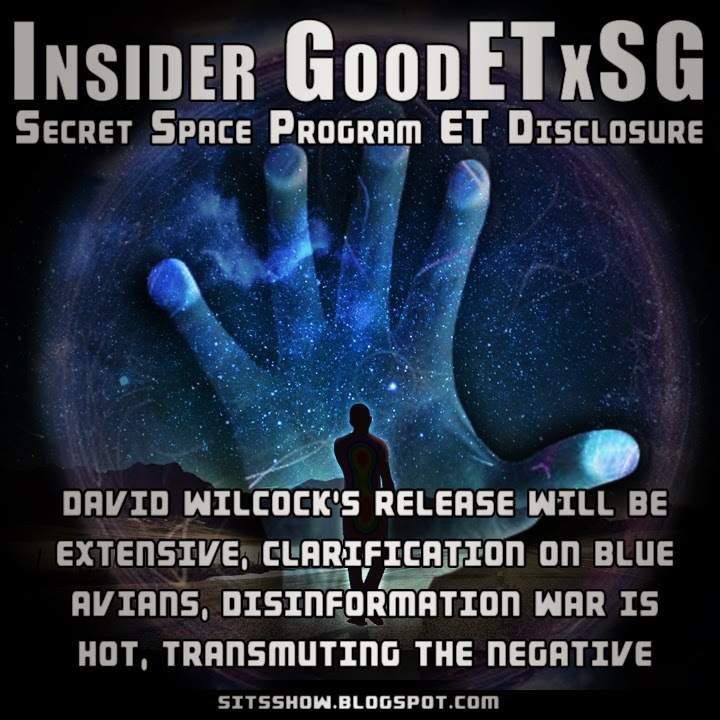 There are not another similar "Blue Avians" out there communicating with people unless these are people or beings pulling "Operations" on people to make them believe it so. There are other "Avian" 3/4D beings out there that we have run into. They look very different and stick to their groups and do not play well with others. I was hoping that Corey or another forum member that is knowledgeable of such subjects could answer a question I have. If this is not the correct thread to post this than please accept my apologies. I have been reading the posts here and keeping up with the information. In one of Corey's earlier posts towards the beginning some one asked about there being a "soul trap". This was a new concept to me and have since stumbled upon a series of YouTube videos titled "The Golden Web". My question is; Are these videos an accurate portrayal of what our situation is? May we all be anointed with peace, health, longevity and prosperity. The study of language and the origin of words is called etymology. One of the very best references to the origin of the matrix and the words in our language can be found in the Golden Web series by Chiron Last. How does it make you feel to hear the word “God”? Do you really know what an “Archon” is? The information is absolutely mind blowing. This article focuses on part three which includes the origin of the words God and Archon. The Blue Avians responded to this question from a SSP Alliance member. They basically said that this is a "Belief System" and is only true if we Consciously Will It To Be. I believe this was covered pretty in depth in an earlier post. I was not encouraged by the latest briefing about this new disinfo campaign but not shocked by it either. Put on your seat belts... Its going to be real mind musher of a time in the coming weeks and months ahead. The Blue Avians are not involved in this foundation or any other business or research groups on earth... There is no need. Technology beyond this is already developed and in use at this time and just needs to be released. This is what the SSP Alliance has been working towards (One of the things).